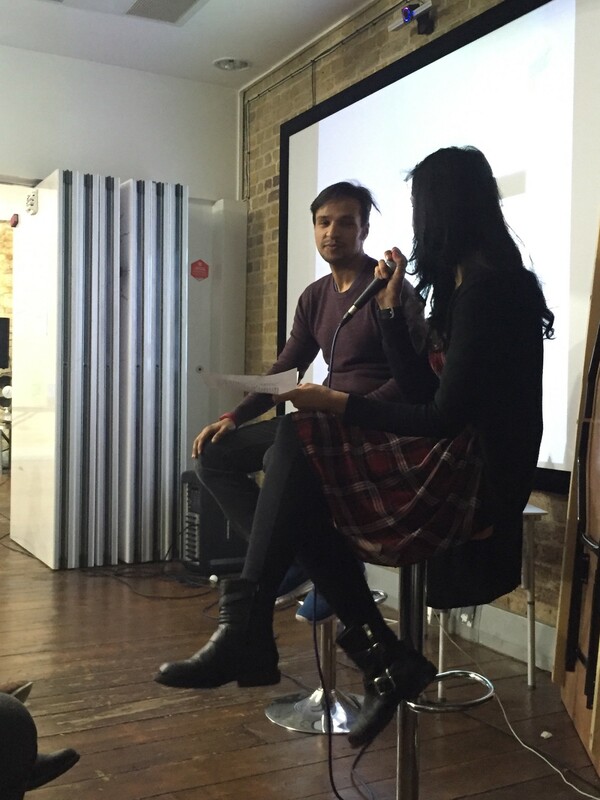 A month ago I tweeted Arfah to rant about the lack of diversity in the tech startup scene in London. We spoke about our backgrounds and laughed about how our parents wished we’d be good kids and be Dr’s (Hello? NHS cuts!? ), lawyers or accountants. About our experiences as Muslims working in an industry which is overwhelmingly white and middle class. The highs, lows and awkward moments and more importantly what we wanted to do about it. Thanks to awesome guys at Makers Academy we had a venue and our first event went down a storm with local boy Mohammed Jalil an East London born and bred ex-finance guy turned CEO and founder of SyncSpot talking to us about the life and times of his startup. This is a crappy catch 22 where everyone loses out. Fewer Muslims tearing up the tech scene and doing their thing = fewer conversations and opportunities for non-Muslims to discuss and understand their perspectives. Fewer opportunities like this to get to know each other fuelled by an Islamophobic discourse = more alienation of Muslims, which in turn = fewer Muslims going out there tearing up the tech scene and doing their thing. No one wins. There are lots of meetups in London where startup peeps and techies can link, what’s been lacking is a space for the guys/girls who wouldn’t attend a drinks event, to get together and network. 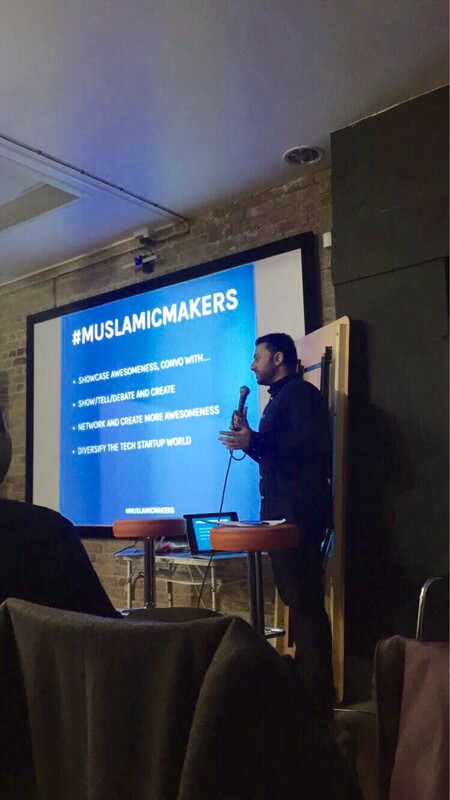 #muslamicmakers is not just for Muslims, anyone can come along to any of our events and we encourage it to help build more dialogue and generally develop more awesome things in tech and business. 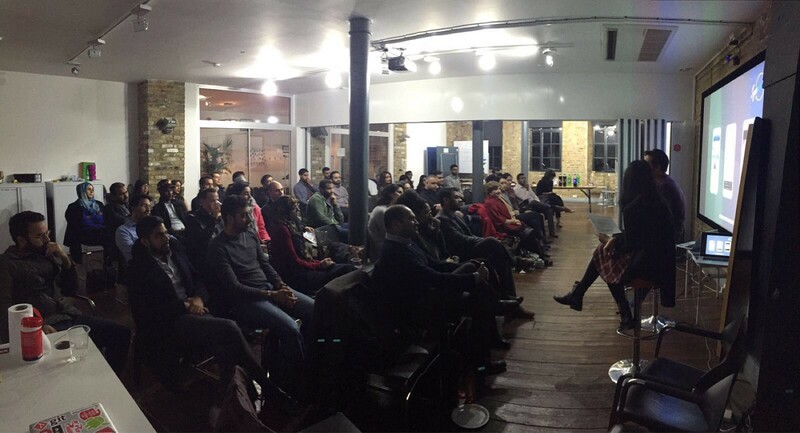 Ultimately our goal is to help grow the Muslim tech startup community’s confidence and impact in the wider scene. To help diversify the startup world whilst also encouraging more Muslims to work in diverse environments being proud of who they are and respecting other people’s views. If you’re interested in our events and what we’re up to then make sure you sign up to our mailing list, join our community slack channel or just drop us a line at muslamicmakers@gmail.com. As always feel free to tweet me.